McLeod Health is honored to announce that 17 McLeod Registered Nurses (RN) were selected to receive the 2019 Palmetto Gold Award. 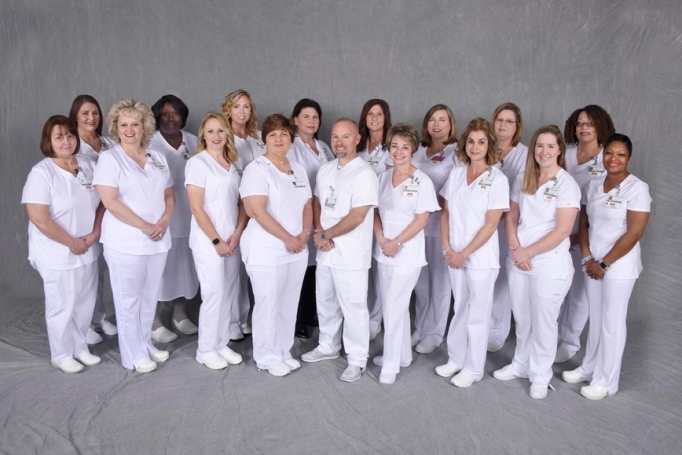 These nurses represent McLeod Regional Medical Center, McLeod Health Cheraw, McLeod Health Clarendon, McLeod Health Darlington, McLeod Health Dillon, McLeod Health Loris and McLeod Health Seacoast. They join the ranks of the 182 previous McLeod Nurses who have received this outstanding award. The 17 nurses from McLeod Health who received the 2019 Palmetto Gold recognition include: Sherrie Ball, BSN, RN; Marissa Elliott, RN; Pamela Flagler, RN; Starlette Godwin, MSN, CRNA; Catherine Huggins, RN; Cornelia Jones, MSN, APRN, AGNP-C; Beth King, RN; Mekka Levy, BSN, RN; Aimee Renae Matthews, BSN, RN; Kathryn McLain, RN-ANCC, CMS; Brittany McNair, MSN, RN, CMSRN; Kelvin Oakley, BSN, RN, MBA, CEN, CFRN, NRP; Lisa Page, BSN, ADN, RN; Susan Roberts, RN; Carolyn Stone, RN; Glenda Thomas, RN; and Selina White, MSN, APRN, AGNP-C. The Palmetto Gold Award was created by various nursing organizations throughout South Carolina as a platform to recognize nursing and support nursing education with scholarship funds. Each year, employers from a wide variety of South Carolina health care settings nominate outstanding nurses from their organizations to be considered as one of the 100 nurses honored with this prestigious award. The nominators are asked to provide evidence of how the nominee demonstrated excellence to the profession by addressing the following criteria: promoting and advancing the profession of nursing; displaying caring and commitment to patients, families, and colleagues and demonstrating leadership by assisting others to grow and develop. To select the recipients, a team of six nurses from across the state participate in a blind review process. The nominees are not referred to by name or place of employment on the nomination sections seen by the judges. The recipients of the 2019 Palmetto Gold Award will be recognized at the Palmetto Gold Gala on April 27 in Columbia. Congratulations to our 2019 Palmetto Gold Award recipients.